When it comes to hair, in my opinion, 2018 is providing even better trends- and we’re just halfway through the year. The mermaid hair is gaining fame rapidly following the year 2016. This hair trend is really adding fuel to fairy tale fire! so, its time to skip the hair dryer because the wet-hair look is in! 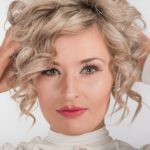 The Rooty blonde is considered as on of the best winter hairstyles. This natural sun-bleached tone adds flavorful touch to your entire look! The best out of the 2016 spring hair collections, this simple yet trendy hair look just adds a fabulous charm to your overall look! Selena Gomez cool cropped hair look is just no less than a fire bomb! While talking about the latest hair trends, the cool buzz hair look can not be forgotten. The hair look is trending all over the fashion world! This simple yet trendy hairstyle takes us back to the 19th century’s breathtaking hair looks! Thanks for this! I’ve been trying to decide if I want to change my hair! Thanks for reaching out! would love to hear which one you decided for you hair 🙂 good luck!